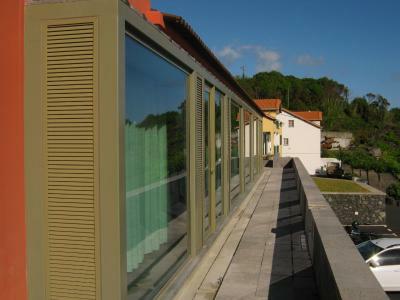 Lock in a great price for PJA - Sao Jorge Youth Hostel - rated 8.4 by recent guests. Friendly atmosphere and staff. Very clean, modern, comfy and private room. Incredible view on the mountain of Pico. Best part: the location, the common room and its view over the canal to Pico. I saw whales blowing just while chilling on the couch! Also the room is very clean and has its own bathroom, staff is super friendly! Supermarket 2 minute walk away, parking place in front of the hostel. Very clean and welcoming hostel on an unspoiled island. 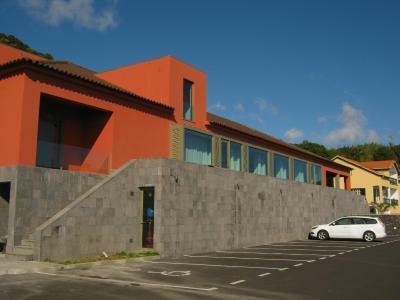 Very helpful staff and a great place to use as a base to explore Sao Jorge. 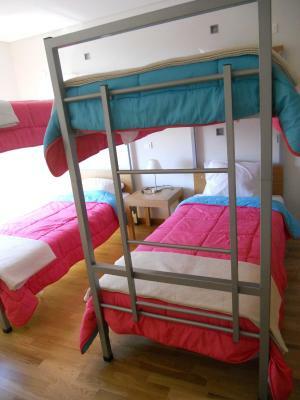 The hostel is huge with lots of common rooms. The staff is friendly and professional. The building has an amazing evening sunset view. Lots of couches are comfy in the common space. Big private parking place. Kitchen for hosts, where you can cook your own meal. Location in the centre of the island. 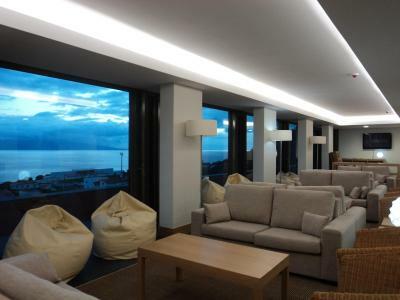 The atmosphere was very friendly , great view over the Ocean, everything was clean and quite new . Nice self catering kitchen and small Bar. Edifício. Localização (tendo autonomia móvel, como foi o caso). Sala comum, recepção e sala de pequeno almoço. Recepção à chegada e continuação de boa estadia à partida. 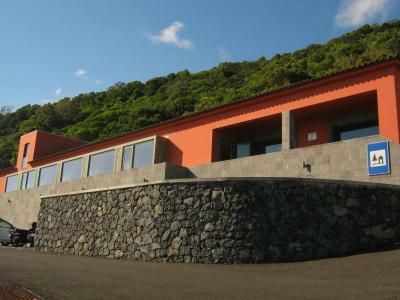 Set in São Jorge Island, in the Azores, the Pousada de Juventude de São Jorge is surrounded by natural green areas. It is a 28-minute drive from a harbour which features boat connections to Pico Island, home of the highest mountain in all of Portugal. 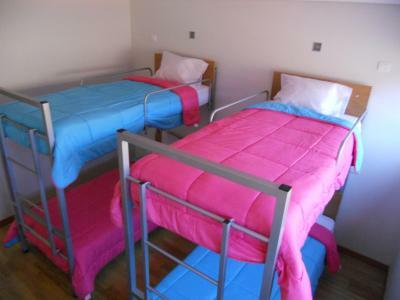 The property provides accommodation in male and female dormitory rooms, as well as in private twin rooms. 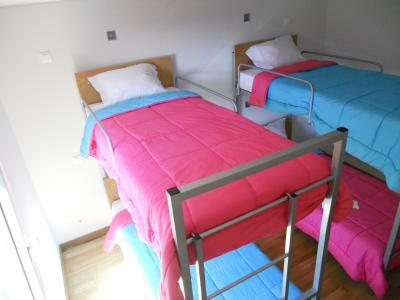 The twin rooms feature private bathrooms, while the dorms feature access to a shared bathroom. All areas of the property feature free WiFi access. A standard breakfast buffet is included in the room rate and served each morning in the São Jorge. For more meal options, several local restaurants are available within 650 yards of the property. The island’s specialties include tuna fish dishes and the renowned S. Jorge Cheese. Guests can enjoy a drink from the Pousada’s bar while relaxing in the green garden area. The green surroundings are ideal for activities such as hiking, cycling or even picnicking while admiring the rich local plant life. There is also the local harbour area, where guests can enjoy activities such as swimming or fishing. Underwater fishing is very popular in the island. Whale and dolphin watching trips are available at the harbour and can be booked through the friendly 24-hour front desk staff. The Pousada de Juventude de São Jorge provides a shuttle service, at an extra fee. 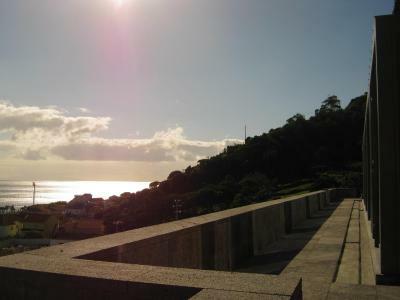 This property is also rated for the best value in Calheta! Guests are getting more for their money when compared to other properties in this city. 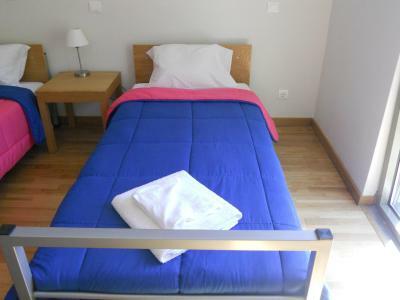 PJA - Sao Jorge Youth Hostel has been welcoming Booking.com guests since 27 Jun 2013. 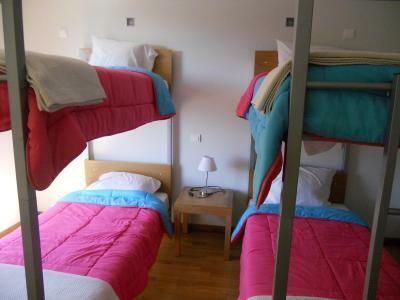 When would you like to stay at PJA - Sao Jorge Youth Hostel? This male dorm room features panoramic views over the neighbouring Pico Island. 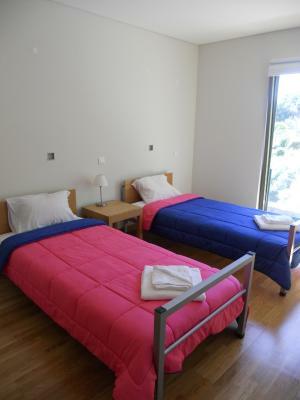 The room provides free WiFi access and access to a shared bathroom. This private twin room features panoramic views over the neighbouring Pico Island. The room provides free WiFi access and a private bathroom. This female dorm room features panoramic views over the neighbouring Pico Island. House rules PJA - Sao Jorge Youth Hostel takes special requests - add in the next step! Bankcard PJA - Sao Jorge Youth Hostel accepts these cards and reserves the right to temporarily hold an amount prior to arrival. PJA - Sao Jorge Youth Hostel accepts these cards and reserves the right to temporarily hold an amount prior to arrival. To see what the staff think about a guest. Sometimes nothing good. The wiev of Pico was fabulous. The kitchen is not well equipped even basics like oil and salt are not there. WiFi does only work in the common room. And the breakfast... Well. It's a youth hostel so for that it's okay but don't expect much. The staff is great, always ready to help. The breakfast is also very good. The Youth Hostel has a big hall at the entrance that allows the guests to chat each other! Afternoon problems with a smell from bathroom, maybe due to hotel laundry. The views are spectacular. Beds are comfortable. 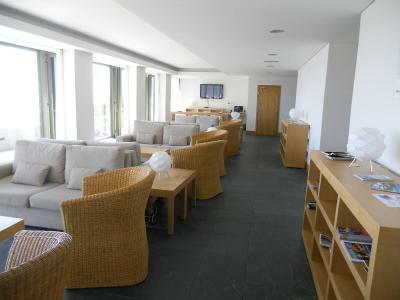 rooms/ lounge/reception/kitchen/bar areas clean and tidy. Free breakfast, Good staff. Toilets had a weird smell, even though they were very clean. The property is very money driven. Laundry service costs EUR 15!